Aperture, 2011. 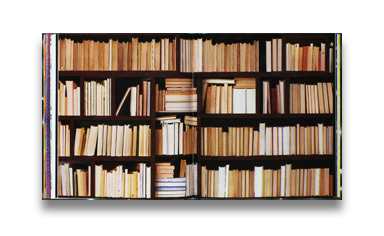 172 pp., 100 color illustrations, 9½x10¾". Penelope Umbrico: Photographs offers a radical reinterpretation of everyday consumer and vernacular images. As the artist describes, she works “within the virtual world of consumer marketing and social media, traveling through the relentless flow of seductive images, objects and information that surrounds us, searching for decisive moments—but in these worlds, decisive moments are cultural absurdities.” Umbrico finds these moments in the printed pages of consumer product mail-order catalogues, travel and leisure brochures, and online sites such as Craigslist, eBay and Flickr. By identifying and isolating image typologies—candy-colored horizons and sunsets, books used as props— the farcical and surreal nature of the lingua franca of consumerism and recreation is brought to new light. Penelope Umbrico: Photographs presents a unique and challenging approach to quintessential issues of representation in contemporary culture, including how images are used to construct and communicate consumer desire, and whether or not the growing volume of images we view online fosters a critical visual literacy. 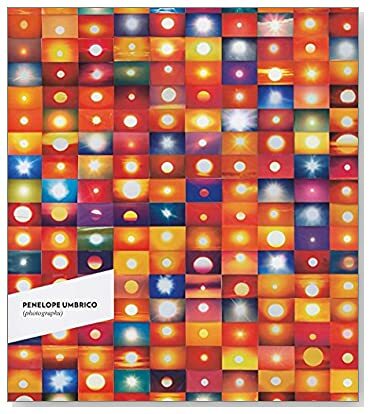 This volume, Umbrico’s first monograph, is accompanied by a series of essays, appendices of source material, excerpts from theoretical works and other material serving as resources for engaging further with the work and issues involved.